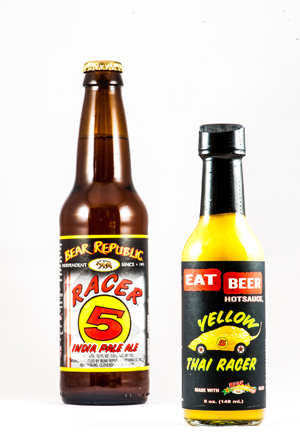 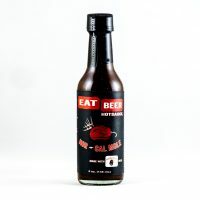 Eat Beer Hot Sauce | Nor Cal Mole | Yellow Thai Racer | 2 Pack! 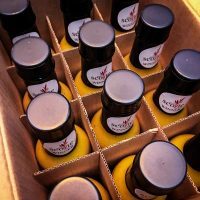 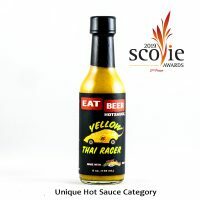 Home / Hotsauce / Nor Cal Mole | Yellow Thai Racer 2 Pack! 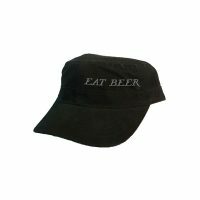 View cart “Home Brew Chef Eat Beer Hat” has been added to your cart. 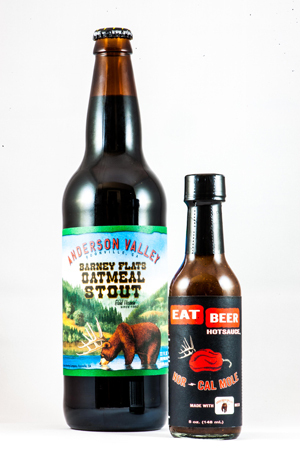 Anderson Valley Brewing Co. Barney Flats Oatmeal Stout, Evolution Fresh cold pressed citrus juice (tangerine, orange, lime), calamansi juice, yellow onion, Smoken’ Ed Carolina Reaper chili peppers, habanero pepper, poblano pepper, ancho pepper, malt vinegar, black mole paste (chile mulato, chile pasilla, canola oil, salt, plantain, sesame seed, fried garlic, onion, thyme, clove, cinnamon, cumin, black pepper, oregano, fried peanut, walnut, raisin, almond, sodium benzoate as a preservative), white miso (water, organic soybeans, organic rice, salt, yeast, koji culture), soy sauce (water, soybeans, wheat, salt), garlic (black & white), TCHO Chocolate Fair Trade & Organic Ecuador Cacao Nibs, coriander, cumin, kaffir lime leaves, stout malt syrup, citrus zest (orange & tangerine) and ginger.